Mount Saint Awesome - 32: Happy Halloween! I decided to do something a bit different for this week's comic (and look! it's even updated on Monday!) 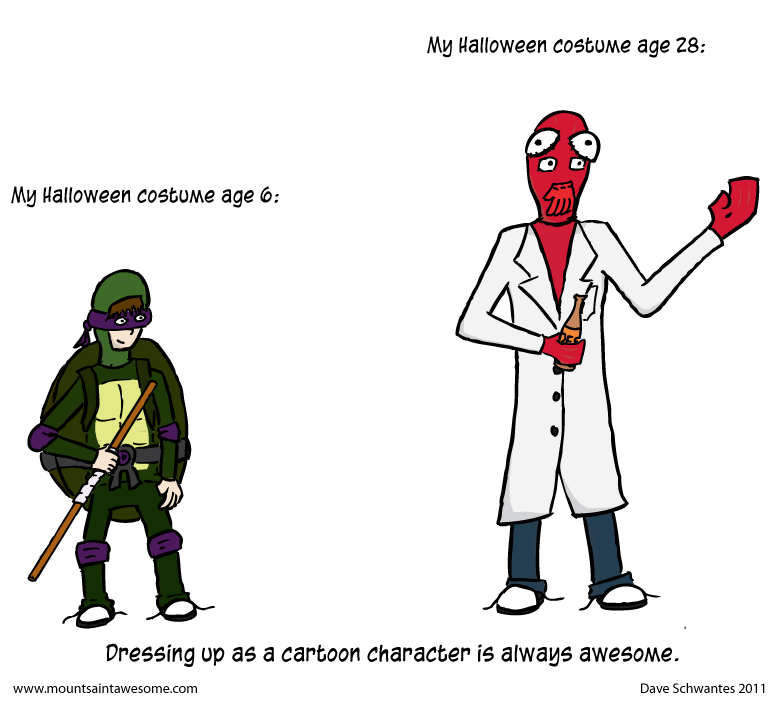 My mom made me an awesome Ninja Turtle (Donatello) costume when I was 6. I think she might still have it somewhere at their house. This year I made my own Dr. Zoidberg costume (check out a real picture here with Ziggy Stardust Eileen) and kept up the great tradition of cartoon costumes.